Knitting magazines are a great way to learn more about the world of knitting. Like any other magazines focused on crafting, there are a variety of topics covered that are of special interest to knitters. Regardless of your experience level with knitting or other fiber crafts, reading magazines about the craft can inspire and teach you. You can find information in these magazines that you’ve never learned, such as tips and tricks, brand new patterns, fun new product reviews, and many more. If you’ve never subscribed to a magazine dedicated to knitters, you may want to consider adding one or two to your monthly reading list, just for fun. 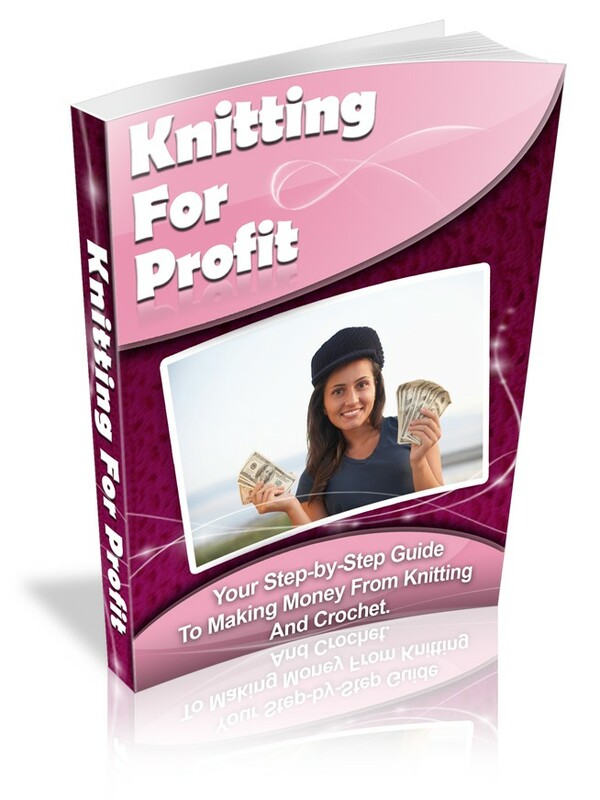 • Find businesses that sell interesting findings such as buttons, zippers, appliqués, and other fun additions to knitting. In addition to finding this information, most of these magazines come out either monthly or seasonally, so you’ll get plenty of new information throughout the year. 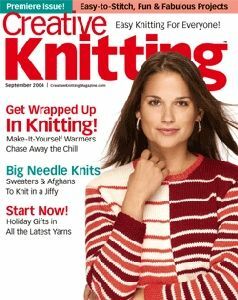 As with fashion magazines, craft magazines, or even store catalogues, knitting magazines focus on seasonal appropriate themes. This means that around the holidays you may find patterns for knitting Christmas stockings or a tree skirt. In the summer you might find some cool projects you never thought to knit during the summer, or you may get a sneak peak at fall trends. There are so many fun things to read about in these magazines; you’ll find plenty of inspiration for your next project there. If you go to your local craft store or yarn store, you’ll probably find yourself bombarded with a large variety of fiber arts magazines. It may be hard to decide which magazine you want to try. When you’re in doubt about it, the best bet is to pick up one of the top sellers. 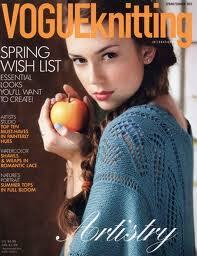 Some top selling magazines for knitters are Creative Knitting Magazine, Vogue Knitting, and Knit ‘n’ Style. These magazines have proven themselves time and time again to have the best articles, patterns, information, and advertisements according to seasoned knitters. Perhaps picking up one of these magazines would be a great place to start! Creative Knitting Magazine is one of the most popular magazines among knitters. Their tagline “Knits with a Timeless Twist,” describes their content perfectly. In this magazine, you will find creative knitting patterns, tutorials, tips and tricks, and seasonal projects in each issue. Vogue Knitting, another popular magazine among yarn addicts boasts a 30 year reputation among knitters. Their loyal followers love the free patterns, discount codes, how-to’s, and product previews available between the covers. Knit ‘n’ Style, which claims to be “Real Fashion for Real Knitters,” is not your grandma’s magazine. If you pick up this magazine at the newsstand, you’ll find some great information on hand-dyed yarns and even articles discussing yarn bombing and offering inspiration on the subject! They also have both knit and crochet patterns to offer to a variety of readers. If you’re a young knitter looking for more unique content, this magazine is the one for you. There are many great knitting magazines available today. If these three don’t capture your interest, there are plenty of other options available. Perhaps you should try picking up one with an interesting cover and see how you like it! 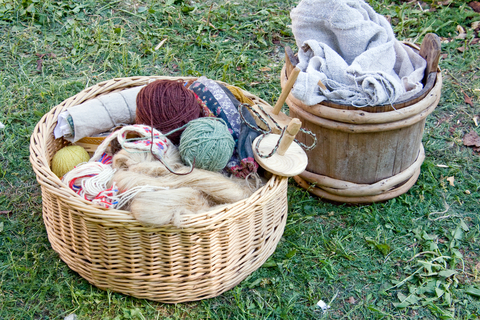 Knitting is a craft that you can easily dive into and want to learn more about. If you love knitting and want some new inspiration for your next project, you may just find it in a new magazine. You can find tutorials, free patterns, knitting accessories, and information on a variety of fiber-related topics by simply opening the cover to one of these magazines. If you haven’t checked out a knitting magazine yet, you should consider it. While knitting is an age-old craft, there are many people today that struggle to find reliable knitting help when they first start out. Even if you know someone personally that can knit, not everyone has the ability to successfully teach the skill to a new knitter! Luckily, we live in a day and age where everything we need can be found on the internet. If you find yourself struggling through knitting techniques, there are plenty of websites available that offer a wide array of knitting help. Read on to find out some of my favorite knitting websites offering help for new and experienced knitters alike. Today there are so many options when it comes to anything on the internet. There is no shortage of websites offering knitting help, but some websites are better than others when it comes to teaching new techniques. There are some very popular sites that have been around for a long time and have a loyal following. 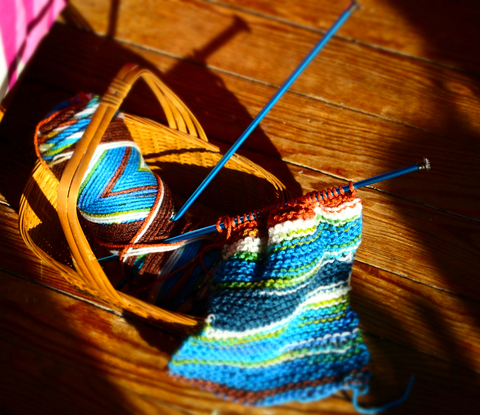 These websites are a great place to start for dependable knitting help. One of the most popular knitting websites available is knittinghelp.com. On this website, you can find help in the form of video tutorials, community forums, advanced tutorials, free patterns, and a great knitting glossary. There is something for knitters of every skill level on this website, which makes it a popular stop for many knitters. Another popular website that offers help for both crocheting and knitting is knitwitch.com. This website is famous for their great video tutorials on YouTube and their unique patterns. You can even buy knitting supplies here, which makes it a one-stop-shop for everything related to knitting and crocheting. Ravelry is another website that has everything a knitter may need. You can ask advice, make friends with fellow knitters, find the perfect pattern, browse and buy yarn or other knitting and crocheting supplies, or even purchase novelty items such as coffee mugs, project bags, sweaters, and other products designed by members of the community. These are all options available locally for those looking for knitting help. However, if you aren’t willing to pay for your lessons, you will most likely have to deal with unpredictable results. 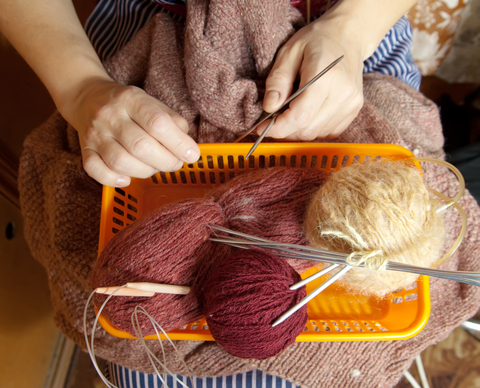 If you want to learn to knit on your own time without spending a lot of money, your best bet is to learn through one of these online websites. Experienced knitters hoping to help others develop their crafts run these sites, which means that you’ll get advice from others that started out where you are now. Everyone teaching on these websites started out not knowing how to hold their needles, either, so they are a great place to start. There are plenty of online options available for knitting help, but the three websites listed here in this article have all been around for a very long time and have a large, loyal following. Online tutorials and videos are a great place to start for knitting help, whether you are a beginner or have been knitting for a long time.